A SONG that pushes her to EXTREMES! 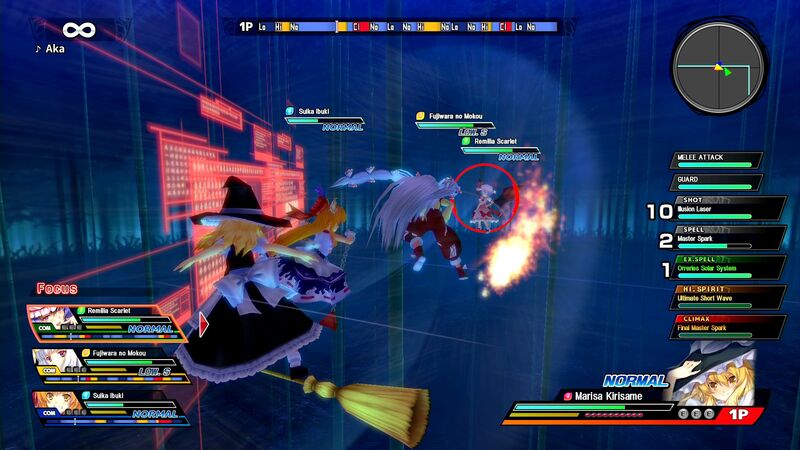 Touhou girls fight dramatic battles in the sky! 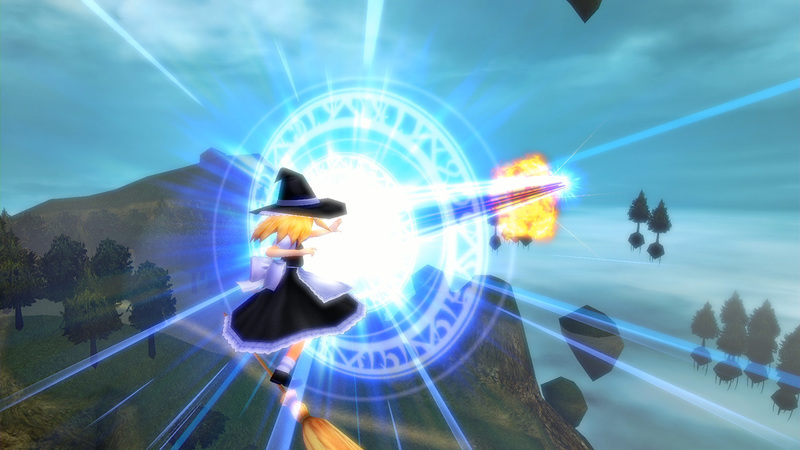 A 3D fired-up battle action game based on Touhou Project! 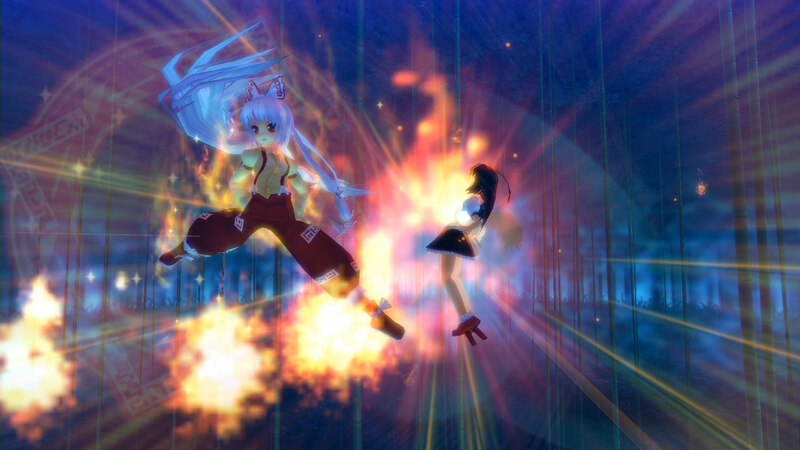 Features a "Fired-up Battle System", in which characters abilities change to the playing song. There is also an online play with up to 4 players available. Over 80 songs were recorded by Japanese artists for the battles. 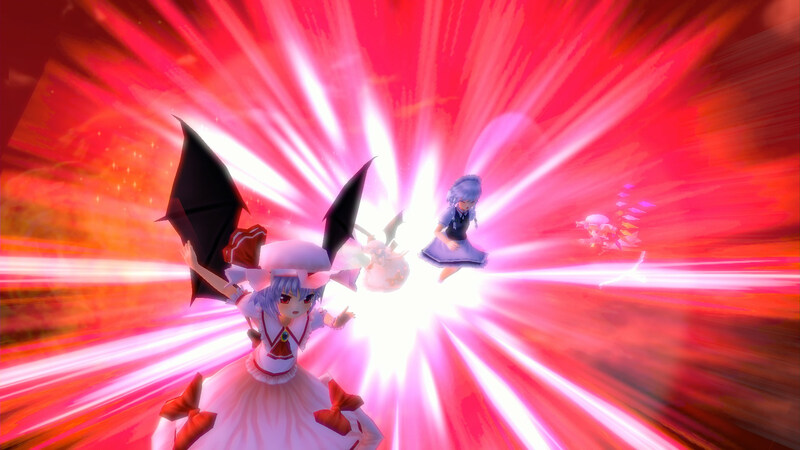 Control with music and bombardments the whole sky of Gensokyo!